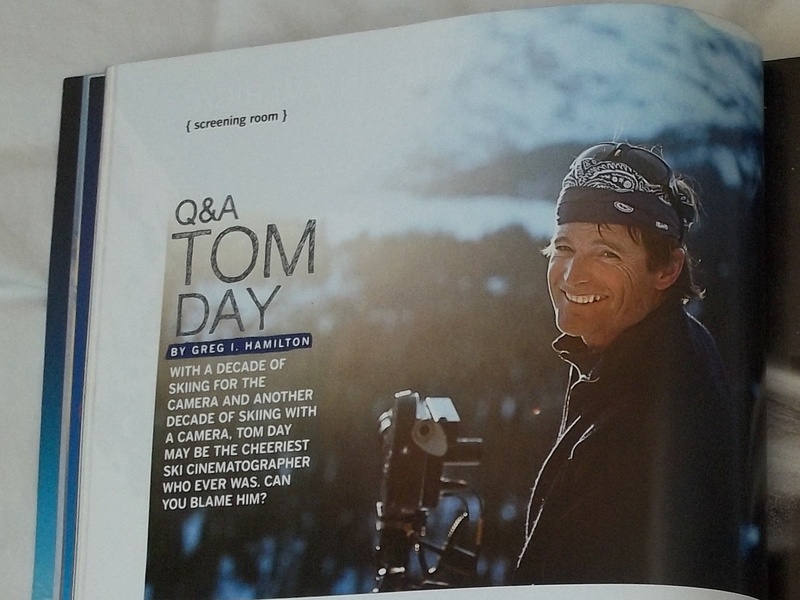 WITH A DECADE SKIING FOR THE CAMERA and another decade of skiing with a camera, Tom Day may be the cheeriest ski cinematographer who ever was. Can you blame him? SnoWorld> How’d you break into ski movies? Tom Day> I was skiing around Squaw and met up with Scot Schmidt at the end of my first year. We started skiing together and the next season, ’83-84, we skied quite a bit. One day he came into the ski shop where I was working. 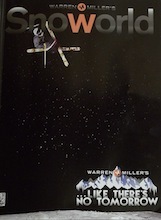 He mentioned that Warren Miller was going to be in town next week and wanted to know if I wanted to ski with him. I was blown away, definitely felt honored. SW> You drove straight to Tahoe after college and haven’t left. How was filming this year’s Squaw segment? TD> We just went to town with it. Squaw is hard place to film if fresh snow is what you’re looking for. It goes fast: there are a lot of good skiers. We could film for an hour, sometimes two, before the public got there. You really only get a handful of shots a day and then boom, it’s gone. Luckily we had a record snowfall. SW> You hail from the East. What did this year’s shoot in Tuckerman Ravine mean to you? TD> Growing up in Vermont, Tuckerman was my first experience in big mountains. On the East Coast, it’s the mountain to be respected. Tuckerman and Huntington Ravine are extremely technical skiing. For Chris [Davenport] this trip was big: he started going up Tuckerman in his teens. I could tell what he was feeling—I felt it at the same time. Chris went back to his roots right before he left on an expedition to ski the biggest mountain in the world. SW> Another ambassador of Eastern mountains, two-time gold medalist Seth Wescott, joined you in Alaska. What’s he like? SW> How much are athletes really pushing themselves for you? TD> They’re pushing it. They know this is an opportunity. Skiing a big line, two or three thousand vertical feet in 30 seconds, stuff comes up pretty fast. This particular year in Alaska was really good because we had a seven-day high pressure. Three, four, five days in a row and they start to have confidence. They’re not thinking: “Is it going to avalanche?” or “is it wind crust?” Once they develop confidence in the snow, then they just charge that much more. That’s what makes it really good for filming.